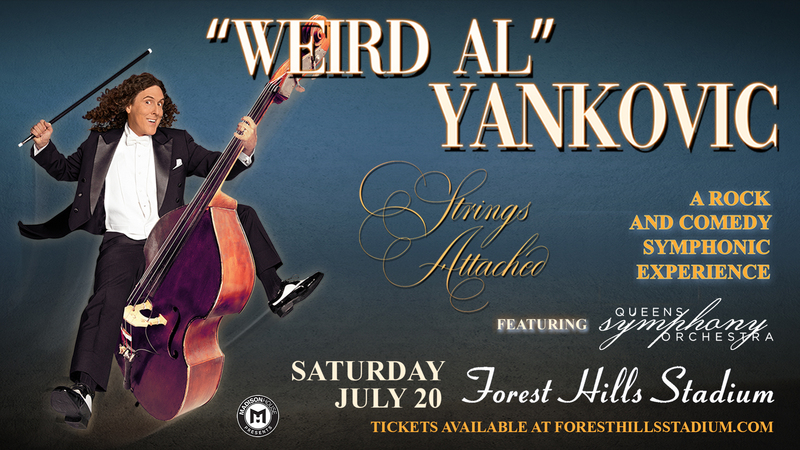 “Weird Al” Yankovic brings his “Strings Attached” tour to Forest Hills Stadium with the Queens Symphony Orchestra on Saturday, July 20, 2019! Weird Al will be playing the hits and classics for a high-energy, rock and comedy show featuring costumes, props, a video wall, and – for the first time – an entire symphony orchestra. Tickets go on sale this Friday, November 16 at 10AM Eastern at ForestHillsStadium.com!